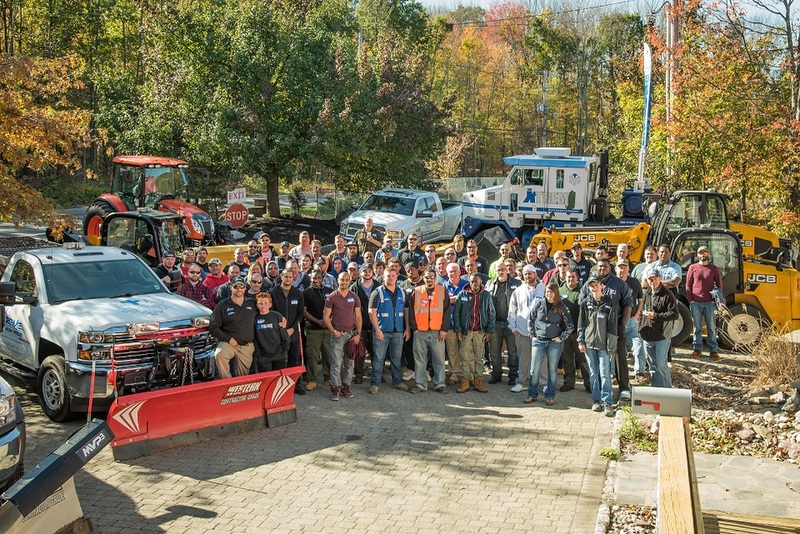 At Xtreme Snow Pros we are dedicated to excellence and strive to be the Blauvelt NY area leader for snow removal. We realize that our team's dedication to prompt and quality service builds a mutually rewarding relationships with our clients. These relationships strengthen our company and promise growth and opportunity for our people. Our goal is to continually raise the bar in every aspect of our business by providing the best possible snow and ice removal service. Xtreme Snow Pros, with over 30 years of snow removal management experience, has the knowledge and resources to handle all of Blauvelt NY 10913 Rockland County residents snow removal needs. We take great pride in giving our customers a safe winter environment with outstanding customer service while using the most advanced web based technology available in the snow removal field. We treat each Blauvelt NY property as a priority. Our professionalism and quality of service stands out from the rest. In addition to Blauvelt NY Rockland County we service Central New Jersey, Northern New Jersey and Lower New Jersey State. (See map of regions we work in.) If you would like an estimate for a commercial property in Blauvelt NY 10913 Rockland County please click here. Xtreme Snow Pros provides complete snow removal services for Blauvelt NY 10913 Rockland County including snow plowing, snow hauling, de-icing, ice control, shoveling, sidewalk clearing and maintenance. In order to achieve this, we deploy a vast fleet of commercial grade snow plows, commercial grade snow pushers, front-end loaders and skid steers. We use the best de-icing products and facilitate complete winter services for corporate offices, condos, apartment buildings, townhouse communities, retail stores, industrial properties, shopping centers, hospitals, health care facilities, houses of worship and more. We offer professional snow management with 24/7 service in zero tolerance snow and ice management. Xtreme Snow Pros uses top-notch equipment and technology to provide Blauvelt NY 10913 Rockland County with utmost quality, reliability and value. Check out our pricing and you will see that we provide the highest quality and customer service available today at fair prices. Xtreme Snow Pros lets you choose the contract that works best for you. If you are sick of writing a blank check for snow removal, choose our Unlimited Seasonal snow agreement. If you prefer to pay per inch or per application, we offer those options as well. We offer 3 plans of service as well this year, silver, gold and zero-tolerance. We provide outstanding commercial snow removal service in Blauvelt NY Rockland County New York that is tailored to your specific needs.